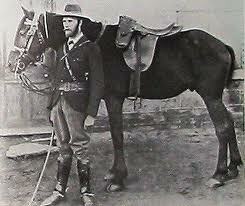 Posted by Jenny in Boer War, military history. 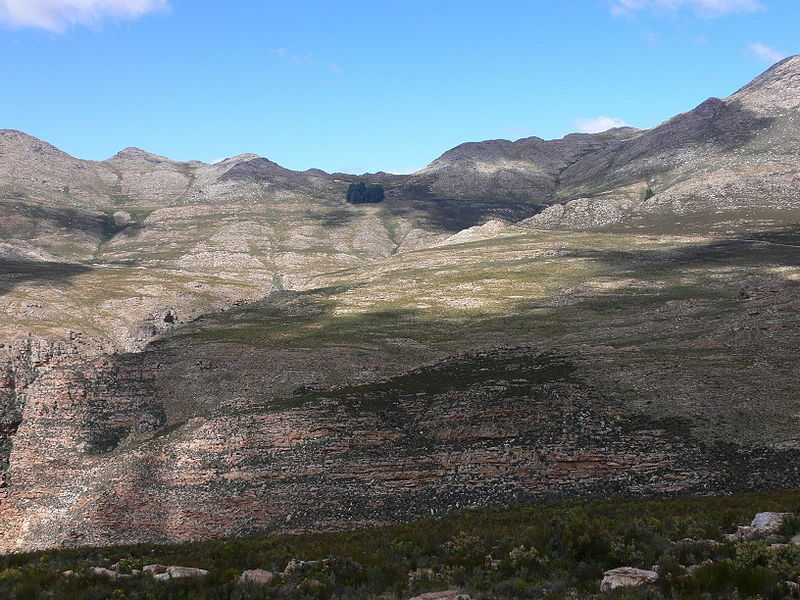 Slopes near Swartberg Pass. Photo by Winfried Bruenken. It was late October or early November 1901. A group of seven Boers had become separated from the commando of General Jan Smuts as it fought its way across the hostile Cape Colony, doing what damage it could to the pursuing British columns, trying to obtain necessary supplies of food, clothing, and ammunition along the way. One of the group of seven, Deneys Reitz, had lost his companions during a shootout at an English farm (in other words, the farm owner was of English descent and loyal to the British, unlike many Cape Afrikaners sympathetic with the Boers). His pony had been shot from under him, and after a long night of hiding from the soldiers and then walking for hours before dawn, he recognized the particular hoofprints of the pony of one of his companions. Miraculously, he was able to follow it and find his friends. They still hoped to rejoin the larger commando. In this episode, the seven men, led by Willem Conradi, travel from the valley of the Caminassi River, not far from Oudtshoorn, northward across the Swartberg mountains. They encounter a strange little settlement tucked into the mountains, known as “Die Hel” (now also called Gamkaskloof)—located off the present R328 south of Prince Albert. Willem Conradi’s men could see towering clouds of dust miles ahead that were raised by the convoys. At times they heard the boom of artillery. But the real trouble was that bands of troopers kept riding past to join the columns ahead. Each time, they had to hide themselves away, sometimes for hours on end. Conradi at length proposed that the group would be better off crossing back to the north of the Swartbergen and continuing west on a parallel, less populated route. They’d have to get up the near side, which was infested with cliff bands, but the far slope was gentler. That would put them back into the Karoo. 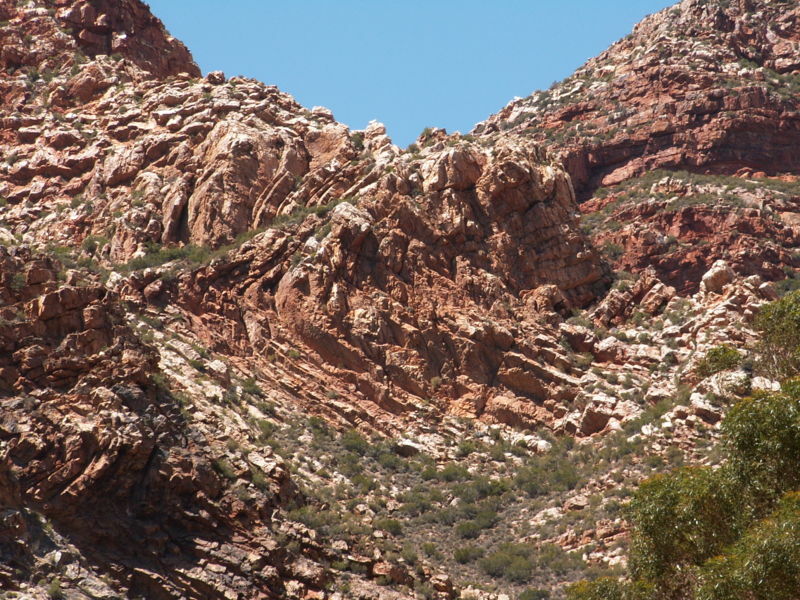 Rock in Swartberg Pass. Photo by Winfried Bruenken. So they headed north again toward the looming blue barrier of the mountains. It took them several days to reach the foot of the Swartbergen. One of those nights, they had a fine celebration. They had (somehow or other) obtained a goat, slaughtered it, and brought it along in pieces on the horses. That evening they stayed up till late, eating roast goat around a roaring fire, singing and telling stories. Albertus van Rooyen, who had a fine voice, sang a full program of English songs, and the others took up the choruses and filled the night air with their music. They reached the Swartbergen near the pass of the Seven Weeks Gorge. But the road through the pass was garrisoned and patrols were buzzing about, as usual. They made directly for the scraggy top of the mountain, climbing steeply. A cold, heavy rain began to fall. The sky turned purple, then black, as they reached the crest of the first ridge. They dropped down a bit on the other side, hoping to find shelter, but they ended up sitting huddled in the dismal chill until dawn. In the morning the shivering men found themselves wrapped in dense fog. They picked their way down an invisible slope. In the afternoon they finally got down beneath the clouds. Below the mist, which boiled off the rocks in changing, streaming formations, they beheld a remarkable hidden canyon closed in snugly by cliffs on three sides. At the bottom, a thousand feet below, they made out some small, primitive buildings. They scrambled down through a gap in the cliffs. They had stumbled upon a strange little settlement known as “Die Hel,” inaccessible except by a rough path on the Seven Weeks Gorge side. It had been settled by a small group of trekboers who’d turned their backs on the outside world and developed their own peculiar dialect of Dutch. The Boers had always been fond of creating their own little isolated kingdoms, but this one was likely the most inaccessible of all. A tall, wild-looking man dressed in goatskins came out to greet them. His name was Cordier, and it was his valley. He lived there with his wife and children in perfect isolation. He’d been expecting Conradi’s group. His son had heard them up on the ridge, crept up and spied on them without their knowing it, and reported back to his father. Cordier was eager for news of the outside world. No English had reached this valley, and Conradi’s men were the first Boers to do so in a very long time. He had heard of the war—it had been going on for more than two years now—but his knowledge of it was sparse. He served them a meal of goat’s meat, milk, and wild honey. They stayed up late around a fire, roasting goat chops and talking. He was so interested in every thing they had to tell him that he wouldn’t let them sleep. His son climbed a long distance to be with them, too, arriving in the middle of the night to join the visiting Transvaalers. Every night Deneys had been sleeping curled up tight in the Standers’ grainbag, but now Cordier’s wife gave him a nice heavy blanket, “so I could almost pass as a well-to-do man once more.”# That night in Die Hel, Cordier stayed out with them. Deneys realized how tough he’d become when mountain-man Cordier started complaining about the cold and the rain, while Deneys didn’t find it cold at all. In the morning the visitors were not allowed to depart. Cordier produced, as if from nowhere, two buckets of honey beer that he thrust upon his guests. No matter that it was early in the day. They spent several jolly hours before the men got to their feet with a bit of a wobble and insisted they must move on toward their destination. Smuts would be getting far ahead. Cordier and a couple of his sons led them up through the rock labyrinth and stayed with them through another night, guiding them out the next morning to where they had a view to the vast hot plains to the north. Adapted from my book about the Boer War, Transvaal Citizen. *Jan Smuts, Memoirs of the Boer War. Edited by Spies/Nattrass. Jonathan Ball, Cape Town, 1997. # Deneys Reitz, Memoirs of the English War, 1899-1902. Translated by Michael Reitz. Unpublished manuscript, Brenthurst Library, Johannesburg. 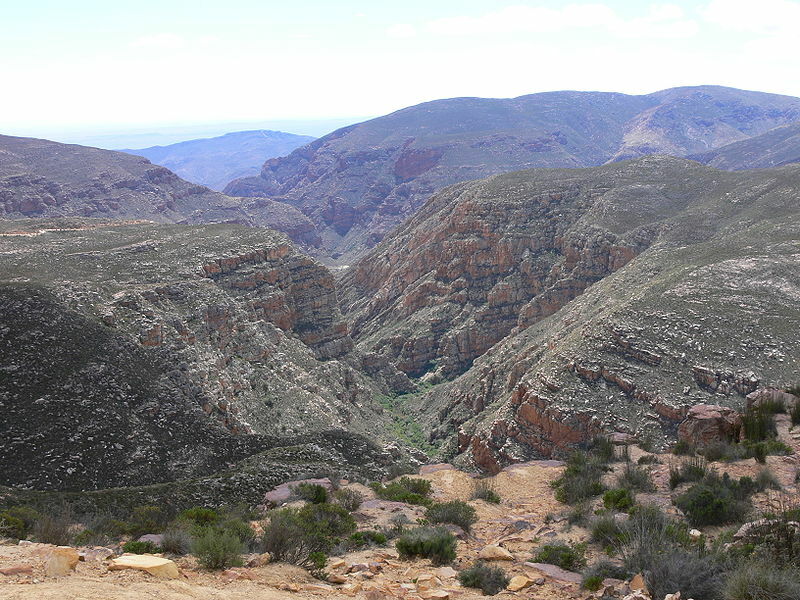 Swartberg Pass. Photo by Winfried Bruenken. Posted by Jenny in military history, World War One. This is the eighth part of a series that starts here and alternates with other posts. German East Africa had been a “sideshow” in which men struggled desperately for their lives while the rest of the world knew and cared little about it. In an interesting symmetry, the men fighting there forgot about the outside world. 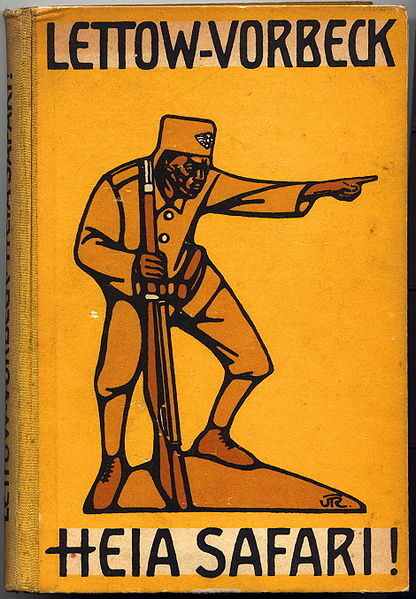 Reitz wrote, “We had been in the wilds for so long that we had almost forgotten that there was another war, so remote did things in Europe seem to us.”* For a man who’d grown up on the dry Free State veld, the dense tangles, the rains, the dark jungles of German East were the opposite of everything familiar. Years earlier, fighting had meant seeing miles through crystalline air, making out small figures of the enemy etched against the skyline. His plan was to enlist in the British army as a private: “I had lately come to hold the view that it was one’s duty to share the dangers of the greatest crisis in human history with the common run of men.” So he sailed to England, figured he might as well do a bit of sightseeing in London, then after a week went to a recruiting office in Chelsea. The doctors examined him, told him he had a malarial heart, but passed him for service anyway. But, as it turned out, his effort to slip anonymously into the ranks was unsuccessful. Too many people became aware that he’d arrived in the UK, and strings were immediately pulled. It started with an uncle who thought he should have a place as a lieutenant in the Coldstream Guards; then Jan Smuts arranged that he should report for senior officer’s school at Aldershot with the rank of major. Everything seemed unfamiliar. Having grown up on horseback, his first thought was to join the cavalry—but the cavalry were about as useful for trench warfare as sabers against machine guns. In fact, most British cavalry in those days were engaged in patrolling rebellious Ireland—the Easter Rising had occurred just a year earlier—and he had no interest in playing that role. Boers and Irish had a long history of mutual sympathy. So he spent months in infantry drills, taking courses in “Stokes’ mortars, Lewis guns, bombing, mapping, air photography, night scouting, trench-making, gas, smoke screens” and many other things particular to this war that was utterly unlike any ever fought before. Toward the end of his time at Aldershot, Reitz’s body of officers-in-training were reviewed by John French. This was an episode that might have caused resentment in another sort of personality. French had played a significant role in the Boer War, and it was his cavalry that had nearly captured Reitz and his exhausted comrades near the Stormbergen in the Cape Colony. As an aide to Smuts, Reitz had actually met French in person aboard a train, May 1902, that was puffing its way toward Vereeniging for the peace talks. French had tried questioning them, hoping for some careless admission that would help the British in their negotiations. The silent, impassive Smuts was probably the last person in the world who would brim over with impulsive revelations. French had been irritable back then: now, 15 years later, he had made questionable decisions as the commander of the British Expeditionary Force in France. He’d been replaced by Douglas Haig, and returned to England to command the British Home Forces, in which capacity he oversaw the suppression of the Irish uprising. In August 1917 Reitz completed his training and finally went to France. 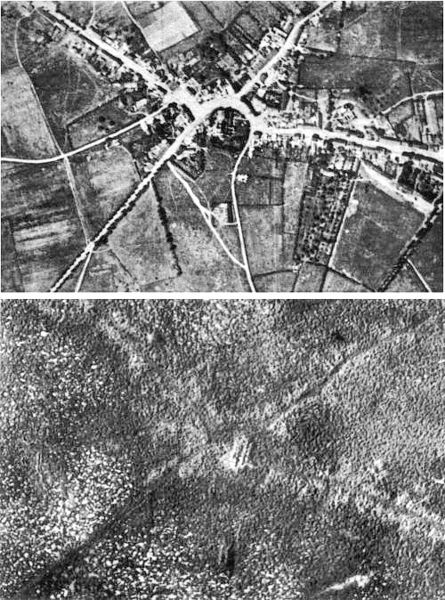 A battle of nearly unimaginable scope had been grinding on, not far away, for two months then—3rd Ypres, or Passchendaele—it would continue until November. But British command did not send a new officer such as Reitz directly into that bloodbath. For him, it was a massive event just offstage that sent continuous ripples in his direction. As he rode the train slowly toward the front, he passed through a landscape that had gone through a kind of entropy. Distinct objects with distinct functions had dissolved into formlessness. 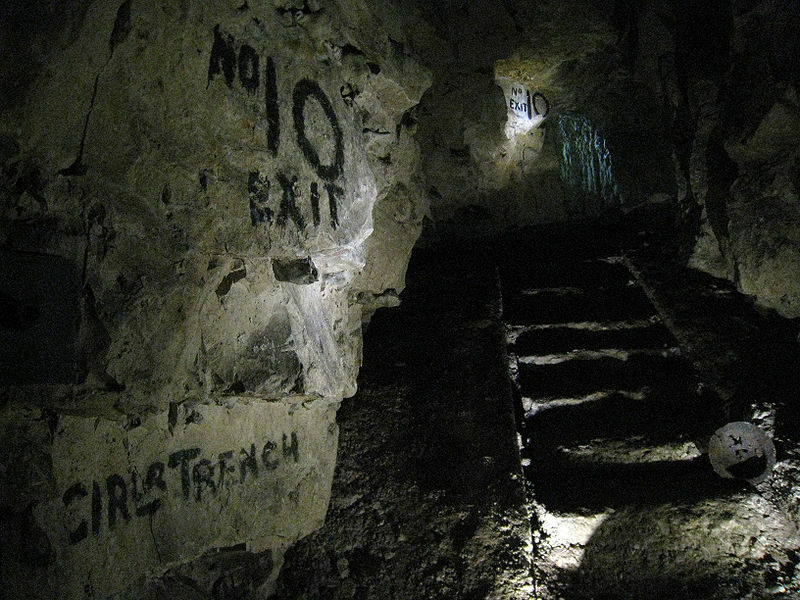 Reitz was assigned to the 7th Royal Irish Rifles, then in rest billets at Ervillers, between Arras and Bapaume. The second in command had been recalled for service in Ireland, and the colonel in charge had applied for a substitute. He was quite surprised to be sent a South African, but Reitz had a gift for easy friendship, and one reads between the lines that he was soon accepted by the battalion. The very next day the 7th Royal Irish were ordered into the front line. For the first time Reitz entered the trenches, for nearly a mile following the communications trench that ran perpendicular to the line of fighting. 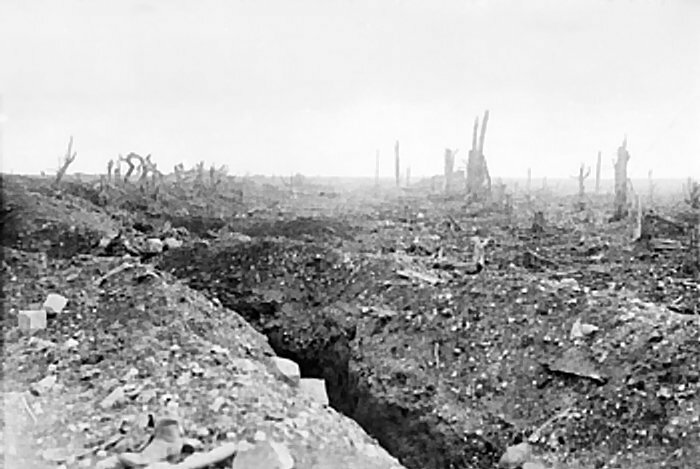 They occupied a segment of the Hindenburg Line that had been captured in the spring offensive at Arras. *All quotes from Trekking On. In The Trilogy of Deneys Reitz, Wolfe Publishing, Prescott AZ, 1994. Posted by Jenny in history, military history, Uncategorized, World War One. This is the sixth part of a series that starts here and alternates with other posts. The “Congo Act” of 1885, agreed between the European imperialist powers, stated that the African colonies would remain neutral in the event of a European war. Yet this neutrality lasted only eight days after the event commonly accepted as the start of WWI, the declaration of war by Austria-Hungary on Serbia. 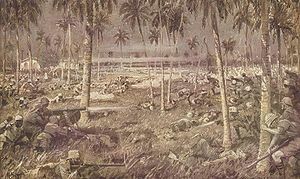 On August 5, 1914, troops from the British Protectorate of Uganda attacked German outposts near Lake Victoria. 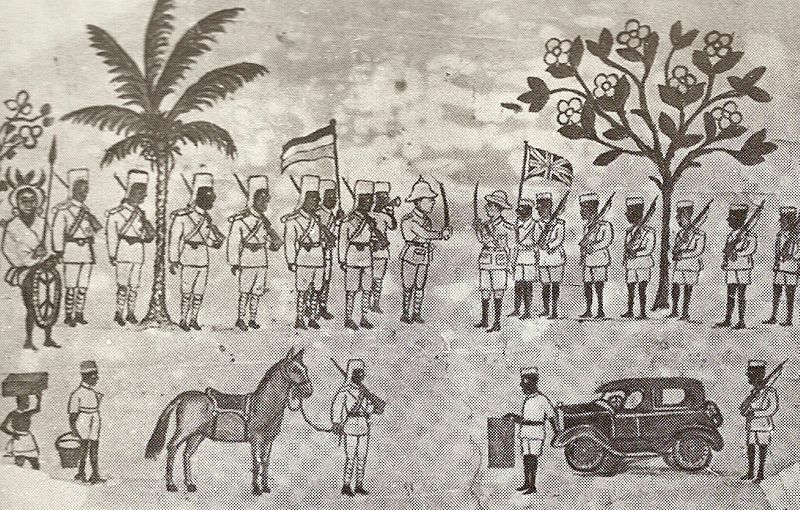 A few days later, two British vessels bombarded Dar es Salaam, the capital of German East Africa. And so began a conflict that lasted, amazingly, until several days after the Armistice. Perhaps that should not be considered surprising. According to the demonic logic of the First World War, any potential antagonists would become actual, and any parties attached to those antagonists by way of alliances would also participate. So we had the Western Front, the Eastern Front, but also many “sideshows,” of which German East Africa was one of the strangest, most interesting conflicts. Deneys Reitz fought in German East Africa from February 1916 until January 1917. He had just come from the conflict in German South West, and when that was concluded he volunteered to put in his time on the eastern side of the continent. Then, also voluntarily, he embarked for the Western Front. The next post in this series will explore Reitz’s personal experiences in “German East”; the current post gives a bit of the background. 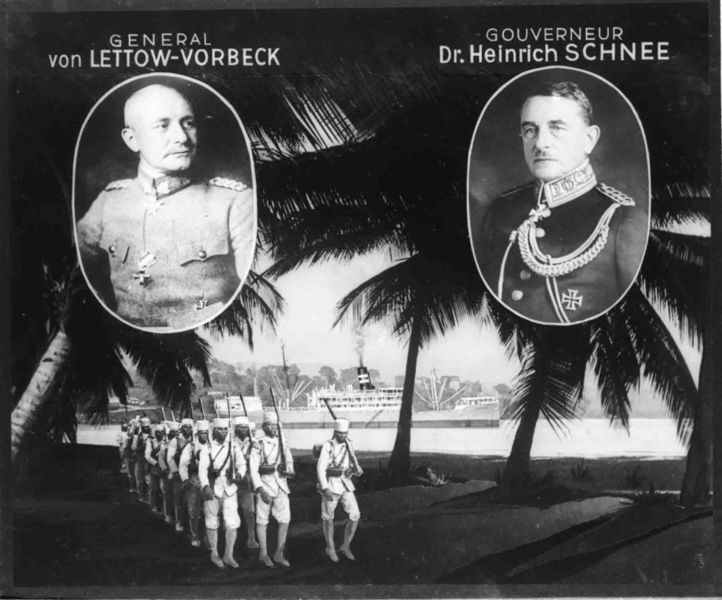 At the outbreak of WWI, Governor Heinrich Schnee of German East Africa preferred to maintain neutrality. But the commander of the “Schutztruppe” in the colony, Lieutenant Colonel Paul Emil von Lettow-Vorbeck, had his own preference, which was to respond to the British provocations quickly and aggressively. Though Schnee was his superior, von Lettow disregarded Schnee’s wishes and raided into British territory near Kilimanjaro (in British East Africa) and up into Uganda. His troops consisted of 260 Germans and 2,500 Askari, or “native” soldiers. Because of Schnee’s opposition, von Lettow was never to have an army of adequate size throughout the whole war. On Lake Victoria, a month after their initial attack, the British defeated the German “navy.” It was a battle between two British lake steamers and a German tugboat mounted with a pompom: a microscopic version of the larger British-German conflict. In early November, at the hands of von Lettow, the British suffered an embarrassing defeat at the town of Tanga, the coastal terminus of a rail line running from the vicinity of Kilimanjaro. British troops outnumbered German by a ratio of 8 to 1, but von Lettow’s forces, charging with bayonets, emitting wild war cries, and blowing bugles, sent the British regiments fleeing. To make matters worse, the British ran into swarms of angry bees. You can read more about the battle here. I must forge ahead here, and describe only the most major highlights, if this post is not to become too long! South Africa entered the picture when General Jan Smuts was given command of the British forces in early 1916. 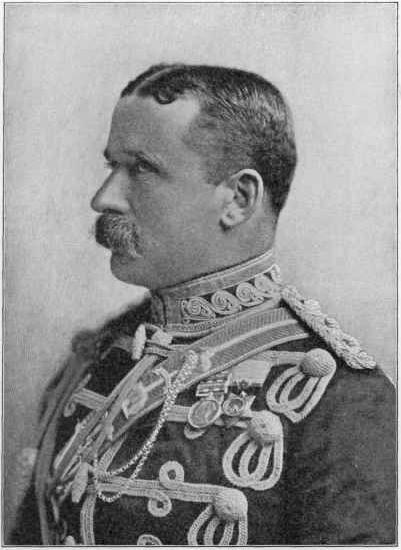 He replaced General Horace Smith-Dorrien, who had become ill. Essentially, Smuts’ strategy was to push from the north and take control of the central railway in German East. This he accomplished by September 1916. Although von Lettow was a genius at guerilla warfare, so was Smuts, who had fought a guerilla campaign throughout the second half of the Boer War. And Smuts had far more troops at his disposal. Therefore, von Lettow’s forces simply melted away into the jungle, again and again, allowing Smuts to advance but never to win a battle. By late 1916, with control of the northern half of the colony but a decisive victory nowhere in sight, Smuts was steadily replacing his South African, Rhodesian, and Indian soldiers with Askaris to match the German ones—men who had far more resistance to the many local diseases (especially malaria), more experience with the difficult terrain—and those were the men who were to remain in place until the end of the war. Smuts himself departed in January 1917 to join the Imperial War Cabinet in London. Fighting extended into Congo, Rwanda, and Burundi as the war churned along; the Belgians had become involved by mid-1916 to protect their own territorial interests. Always on the move, von Lettow retreated into Portuguese East Africa (Mozambique) in late 1917 but eternally evaded capture. His challenge was always one of obtaining adequate supplies and fending off disease—those of his men who weren’t already “salted” from previous bouts of malaria took big doses of quinine that they called “Lettow’s Schnapps.” In one of the more bizarre episodes of an already peculiar war, the German high command attempted in November 1917 to deliver supplies to von Lettow by way of a L-59 Zeppelin. The dirigible made it as far as Bulgaria, but the mission was aborted because conditions were impossible for the crew, who were slowly freezing to death. The story finally ends in Northern Rhodesia, where von Lettow occupied the town of Kasama. One day later, he was informed of the signing of the Armistice, a distant event in lands far, far away. He formally surrendered in Abercorn on November 23, 1918. Von Lettow's surrender. Drawing by African artist. 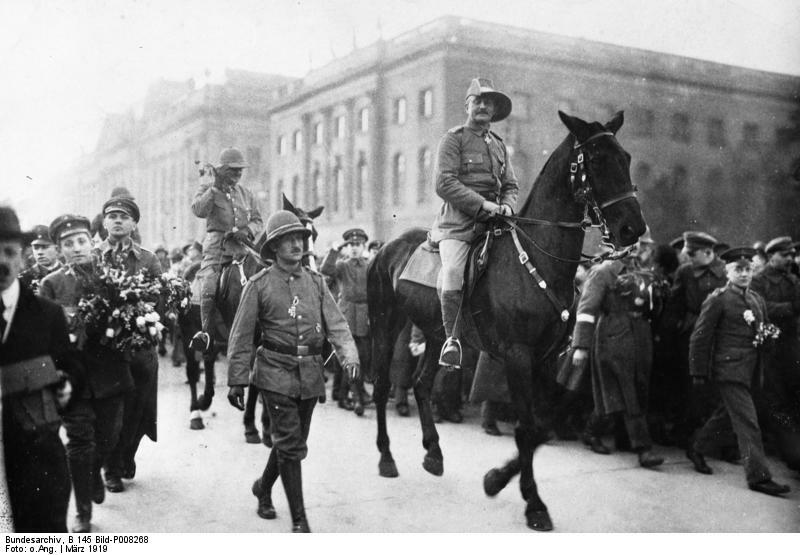 Von Lettow was given a hero’s welcome upon his return to Germany in March 1919. It was one of the few bright spots for his home country.